Jay Leno is one of the most successful comedians of our generation, and a tireless supporter of our military veterans. He has a big heart, and does a lot of charity work. In general, most people like him. That is why many people became highly annoyed when gun control bullies targeted him because he was going to be headlining the State of the Industry Dinner at the 2015 SHOT Show in Las Vegas in January. 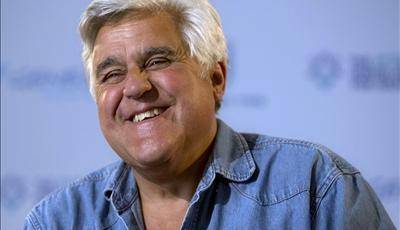 We are clearly disappointed by Jay Leno’s decision not to perform at the 2015 SHOT Show State of the Industry Dinner. He unilaterally cancelled his promised appearance due to pressure from the anti-gun lobby, which included false statements about our industry and its commitment to genuine firearms safety, which we attempted to personally correct with him, but to no avail. We are not deterred by their publicity seeking nor are we unfamiliar with the bullying political tactics of the gun control groups that seem to have as little respect for the First Amendment as they continually demonstrate with regard to the Second Amendment. initiatives in addition to our members everyday work in compliance with comprehensive federal and state laws. We will not allow the lawful commerce in firearms nor our industry to be demonized and we will continue to speak out for the Second Amendment rights of the millions of law-abiding citizens who are our customers. Despite Mr. Leno’s cancellation, we look forward to having our biggest and best State of the Industry Dinner to date with a performer that respects the contributions of our industry and the customers it supports. Leno apparently feared what these shrill bullies might do to his image than he cared to find out what the NSSF does to help prevent gun crime and firearm accidents. NSSF’s Project Childsafe has picked up the cost of distributing millions of “free” gun locks, and the gun industry (which is represented by the NSSF) ensures that every gun shipped from the factory has not only a gun lock, but a list of safety instructions informing gun owners how to use this tool safely and effectively. Likewise, the NSSF’s partnership with the ATF in the long-running “Don’t Lie for the Other Guy” campaign has worked to stop straw-purchases and reduce the flow of firearms into illegal secondary markets. What, precisely, have these gun control bullies ever done that saved a life? Nothing, that we can tell. If anything, they’ve helped create the conditions that have made the streets of Baltimore, Oakland and Chicago more deadly than combat zones overseas. We hope Mr. Leno will understand if many of the 100 million gun owners in the United States feel that his decision to cave to these bullies who attack our Constitutional rights is no laughing matter.